I don’t know if you need more evidence to show how great 2016 was for the solar industry, but here’s some more anyway. Solect Energy, a leading commercial developer and installer of solar energy systems, achieved a record-breaking year in 2016, completing 115 sites and installing more than 26 MW in total solar output. 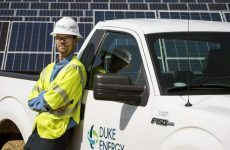 In 2015, the company celebrated hitting its 20th MW of installations over five years of service, and in 2016 it surpassed that milestone installing 26.3 MW in a single year. Solect’s 57 MW of commercial-scale solar installations makes it Massachusetts’ leading commercial-scale solar provider. This year, Solect also launched its Solar Service program, which offers a comprehensive suite of operations & maintenance (O&M) and warranty services including scheduled and preventative maintenance, production monitoring and reporting, net metering support, and SREC management. The company currently maintains over 67 MW of commercial-scale installations in New England through its services division. 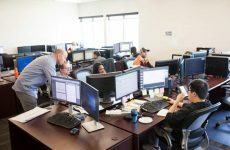 Since the company’s inception in 2009, Solect Energy has grown from a three-person operation to having a core staff of 60 people today, while providing jobs for another 200 plus installers and contractors throughout Massachusetts, Connecticut and Rhode Island. The company’s market growth and expansion is significant given regulatory issues that have frequent-ly injected uncertainty into the market, often stalling or slowing down key projects. 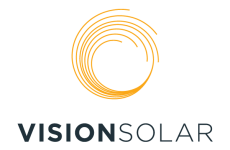 In addition, Solect’s success in the Massachusetts market enabled the company to expand into the neighboring states of Rhode Island and Connecticut offering commercial, industrial, institutional and municipal customers smart solar and energy management solutions. The company’s venture into new solar markets demonstrates Solect’s increasing momentum in the region.